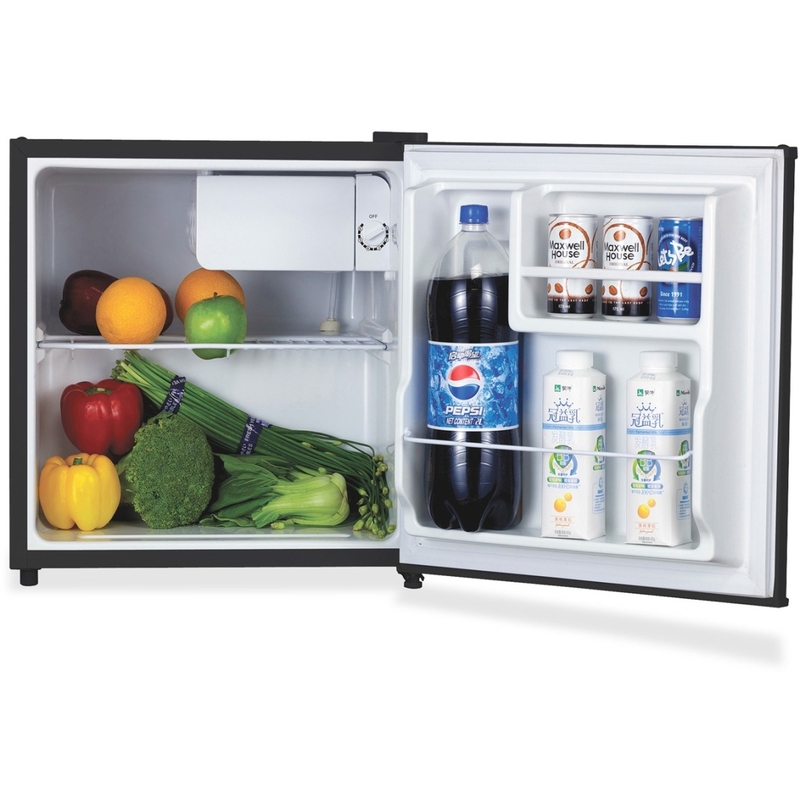 Compact refrigerator is perfect for your personal office use. With the reversible door, flush-back design and adjustable leveling legs, you can fit it easily into your work area. The 1.6 cubic feet of nonlocking refrigerated storage offers a chiller section, wire shelf extension, bottle rack with space for a 2-liter bottle in the door and smaller door shelf for small items. Full-range thermo dial control lets you determine the temperature. Refrigerator also includes recessed handle and manual defrosting. UL approved. Energy Star qualified.